Selasi Gbormittah serves up a showstopper in the form of this trifle terrine cake recipe. 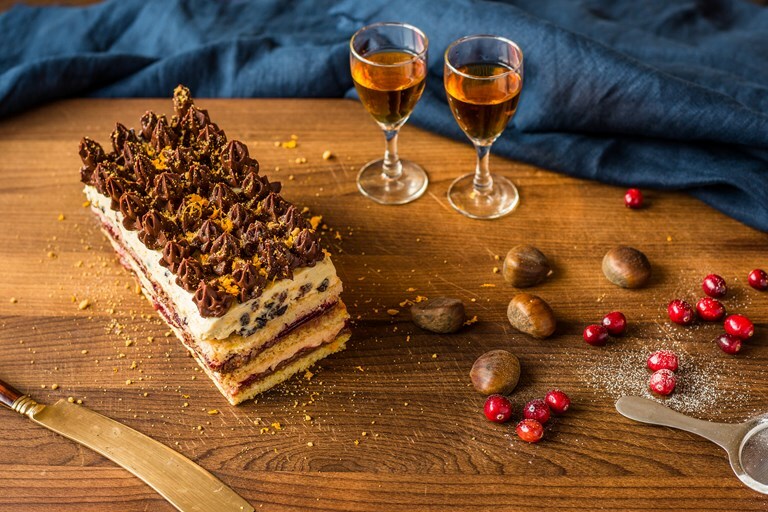 Layers of chestnut cream, chocolate mousse and rum-soaked raisins make a truly decadent dessert for Christmas. Selasi first shot to fame in the 2016 series of The Great British Bake Off, where his cool as a cucumber demeanour and beautiful cakes made him an instant fan favourite.